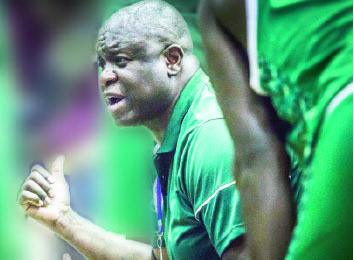 Alex Nwora, the head coach of the senior national basketball team, D’Tigers, on Sunday said that his team were focused on beating all contenders at the ongoing 2019 FIBA Africa World Cup Qualifiers in Lagos. D’Tigers had defeated all eight teams so far in the competition starting with the first window in 2017 where it topped the group F that had power houses Senegal and Central Africa Republic (CAR). Mali, Rwanda and Cote D’Ivoire are also contenders for the two tickets available for a place in the World Cup to be hosted in China. Nwora told the News agency of Nigeria (NAN) that his players had the capacity to defeat any team but would not underrate any opposition that comes its way. “We are a rock solid team and blessed with abundance of talents, but we cannot celebrate now until we play our final game. “We can continue to improve on our quality based on the availability of our players who are so desirous to represent their fatherland. “So, we are not satisfied until we pick the ticket and prepare ourselves for the competition ahead,’’ Nwora said. D’tigers crushed CAR 114-69 at the Indoor Sports Hall of the National stadium, Lagos to register one of the biggest scoreline so far in the second round of the qualification series holding in Lagos. Ikenna Ireogbu, who contributed 18 points to the success of D’tigers, said that he was happy with his performance and that the team was basically focused on getting Nigeria to play in the World Cup in China. “I am happy about the results so far but we can only work harder and give our best to the success of the team. “Although we had little time to train, but so far we have struck an understanding and are working towards achieving good results,’’ Ireogbu said. Similarly, Senegal had recorded seven wins out of eight matches played so far, and were also looking confident for a spot in the World Cup. Senegal showed superiority over their arch rivals, Mali beating them 82-71 to prove their quality and maintain the stability of the team. Senegalese star player, Youssouphe Ndoye, recorded 23 points to power the team to success; he also had six defensive rebounds and three offensive rebounds. He told NAN that Senegal; he was confident about their chances of qualification. “We have to keep fighting, we fear no opposition, we are here to play ball and we will qualify for the World Cup. “We cannot be intimidated because we know we have the quality to land our team in China,’’ Ndoye said.